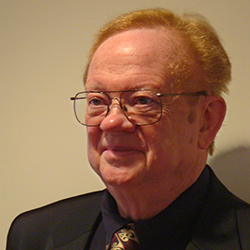 Donald L. Patrick Ph.D., M.S.P.H. Award Year: 2000 New medical technologies are a leading cause of escalating health care costs. However, the process by which new technology is disseminated and utilized is highly variable. It is driven not only by scientific evidence but also by the high cultural value placed on health technology in the U.S., profit motives, political concerns, marketing, and the media. This project describes the transition of new technology from experimental to standard of care; the processes by which multiple stakeholders influence technology adoption; the ways in which evidence may be overwhelmed by political, socio-cultural, and financial forces; and the unintended medical, social, and economic consequences of disseminating unproven or marginal technology. Case studies of drugs, devices, behavioral regimens, and surgical innovations will be used to illustrate the process of adopting therapeutic technologies. The study also explores and critiques potential policy options for improving the process of technology adoption. Donald L. Patrick is professor of health services with appointments in the departments of epidemiology, sociology, rehabilitation medicine and the School of Pharmacy. He is also the director of the Seattle Quality of Life Group. He was the first director of the Social and Behavioral Sciences Program at the University of Washington, holding this position form 1987 to 2006. He is a Full Member of the Fred Hutchinson Cancer Research Center. He teaches graduate courses on outcomes in health and medicine and population health and social determinants and directs the Biobehavioral Cancer Prevention and Control Training Program. Over the past three decades, Dr. Patrick has published widely on the assessment of health status and quality of life, including applications to vulnerable populations, health promotion, evaluation research, and end-of-life care. He has developed many condition-specific measures of QOL, often with cross-cultural applications. He is currently applying outcomes assessment in disability surveillance, adolescent health, and end-of-life care. He has a special interest in allocation of resources to health and health care and in promoting the health and quality of life of people with disabilities. He was the Inaugural President of the International Society for Quality of Life Research. Dr. Patrick is a member of the Institute of Medicine, National Academy of Sciences and a Fellow of the Association for Health Services Research. He co-authored the book, Hope or Hype with Rick Deyo with funding from the RWJF Investigator Awards Program.